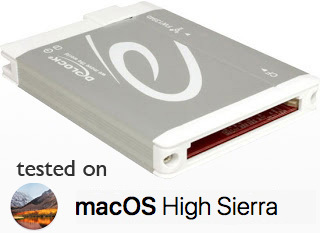 We tested the Delock 91694 FireWire 800 CompactFlash Reader under macOS High Sierra (10.13.1). The Delock's 91694 FireWire 800 Reader worked flawlessly, mounting a SanDisk Extreme® CompactFlash 60MB/s UDMA 16GB cards, and a Transcend 4GB 133X card. Under 10.4 through 10.9 iPhoto opened automatically when the reader was connected or when new CompactFlash cards were inserted. 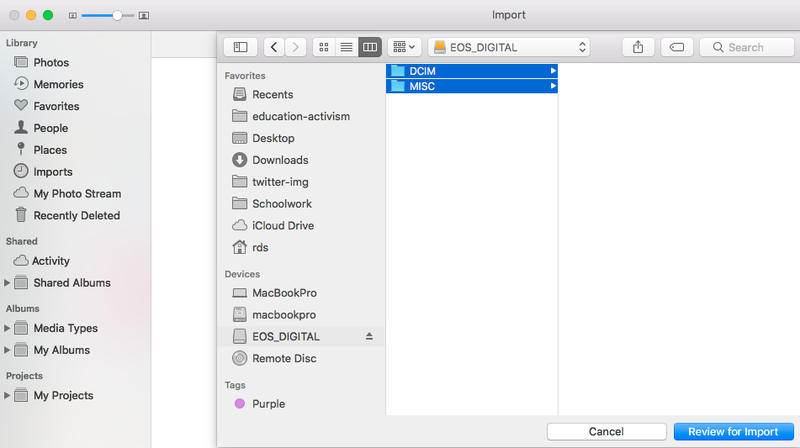 macOS High Sierra is the fourth macOS version to deploy the Photos app, which does not automatically launch. However, when we opened Photos and navigated to the "File > Import…" function, the CompactFlash card present in the reader was there and ready for importing with the preview feature. 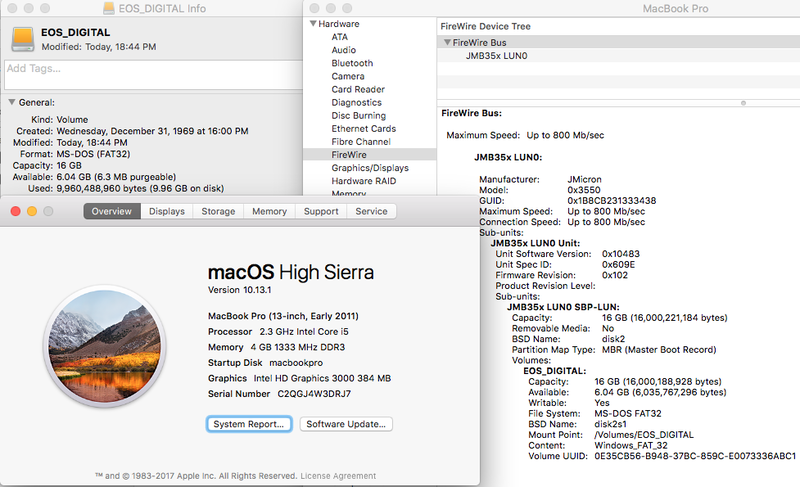 The speedy Delock 91694 FireWire 800 CompactFlash Reader worked well under macOS High Sierra (10.13.1). Here's screen shots of the PCM-CR-FW81ECF-03 / 91694 working under macOS High Sierra (10.13.1). Our MacBook Pro has a FireWire 800 port and a Thunderbolt port.